Submissions open on February 19th, 2019. Please visit augmentedanthology2019.wordpress.com for more details! 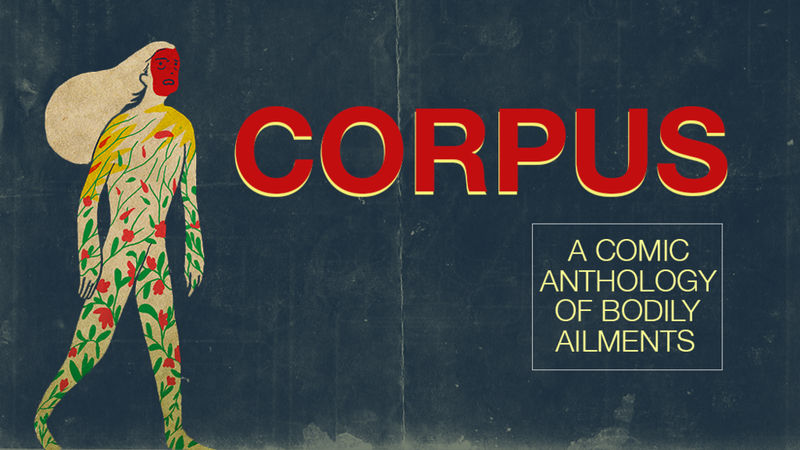 In February 2018, I launched CORPUS: A Comic Anthology of Bodily Ailments on Kickstarter. Inspired by my own experiences as a Type 1 Diabetic, CORPUS contains stories about mental illness, physical illness, and healthcare experiences. Working to expand the conversation about disability, chronic illness, and just how much illness touches our lives, CORPUS contains a roster of both new and established creators, including Chris Sebela, Tini Howard, Emily Pearson, Vita Ayala, Eliot Rahal, Brian Level and many others. CORPUS was honored to receive a huge amount of support, and by the time the Kickstarter ended in March, we had raised over $30,000. As of right now, CORPUS is currently in production and will hopefully be completed and released to backers by the end of August 2018. As of February 2019, CORPUS has been fulfilled! You can purchase the electronic version here.